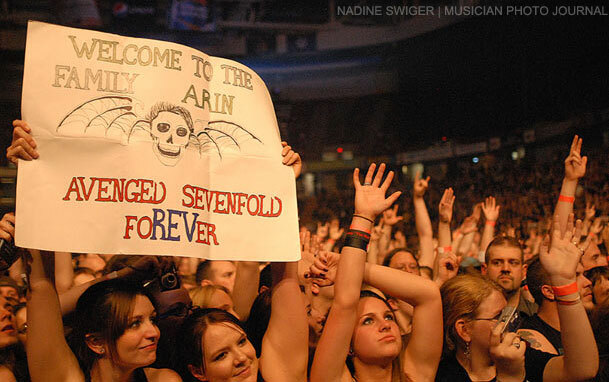 Welcome to the Family Tour Featuring Sevendust, Three Days Grace and Avenged Sevenfold – Times Union Center, Albany NY. Fans poured into downtown Albany early to be sure to claim their spot inside the Time Union Center before Sevendust took the stage. Nominated this year for Best Live Act at the Golden God Awards, Sevendust never fails to deliver an amazing show. Hard hitting and full of energy, the crowd was pumped from the get go. While they pack in as many song as they could into their opening slot, including popular radio hit “Face to Face,” I only wished that they were able to play a longer set. 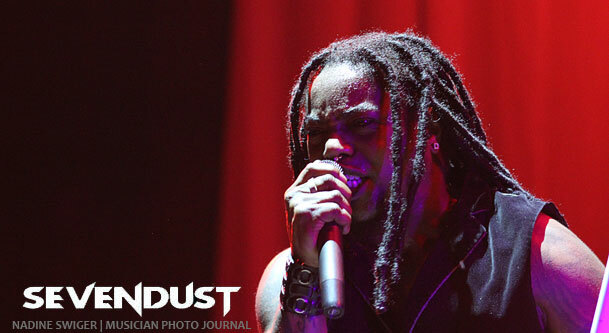 Sevendust is currently out on tour in support of their latest album, “Cold Day Memory.” Sevendust will continue on a few radio show dates in May before heading over seas to do the European Festival circuit. Up next was Canadian Rockers, Three Days Grace. Energy levels were still high, as the music pace was switched. 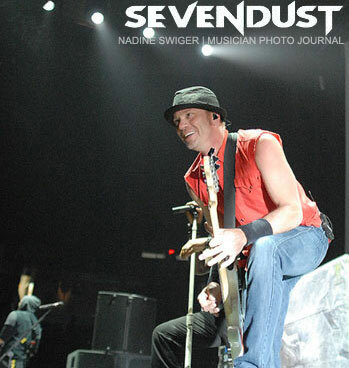 While Sevendust was heavy, Three Days Grace has a more radio friendly rock sound. They kicked off the set with their hit “Good Life.” The hits didn’t stop there, as they followed it with “Break”, “Pain”, “I Hate Everything About You” and “World So Cold” and the hits kept coming. After they performed “Riot”, the crowd seemed to be a little sluggish, so lead vocalist, Adam Gontier took it among himself to get the crowd up and moving, literally. He grabbed a spotlight and went into the crowd to call the “sitters” out and get them to their feet. He circled the lower part of the arena before getting back up on the stage. They come across like they are really having a good time on stage and they passed it along to the crowd. Although Three Days Grace hasn’t released a new album since “Life Starts Now” (Fall 2009) they have been busy touring and producing hit after hit on the radio (5 and counting off this album alone). Three Days Grace has several festival shows scheduled throughout North America in June, July and August. Visit their website for more details. Headlining the night was Avenged Sevenfold with their unique gothic rock. The stage had three large iron gates which were dimly light by dark purple lights and fog drifting into the sea of fans. While the crowd’s anticipation builds, there was a loud bang and a man is dropped from the rafters with a noose around his neck. He hangs motionless high above the stage (where he will remains for the entire first song). At that point, the band members emerged from behind the fence, opening the gates to take their rightful place. The scene is now set for one hell of a performance as they dived into “Nightmare”. Let’s see: Pyros, check. Lights, check. Fog, check, Loud guitars, check. Hit song after song, check. 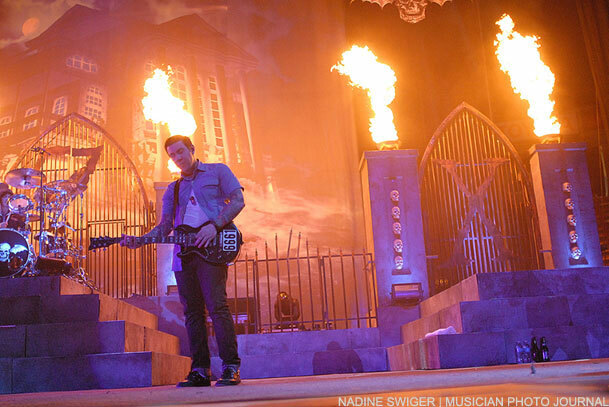 It’s all the makings of a killer arena rock show; and Avenged Sevenfold had it all. From the flaming torches timed to the music, to playing the fans favorite hits, it’s easy to see why these boys continue to be so successful. 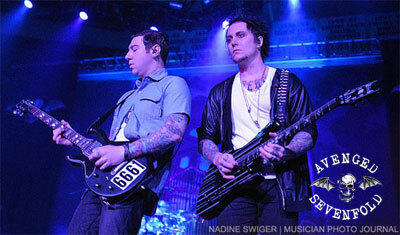 For the encore, they started off with a tribute to Avenged Sevenfold’s late drummer, Jimmy “The Rev” Sullivan. It was an eerie atmosphere that filled the arena. A single spotlight was illuminating a “ghost” piano as fog rolled over the stage and into the crowd while the piano and vocal tracks (which were recorded by The Rev just before his passing) were piped through the system. It was a great way to still have The Rev be part of the show as the other members joined the stage, performing their parts to the song. They closed out the night with their hit “Save Me”. 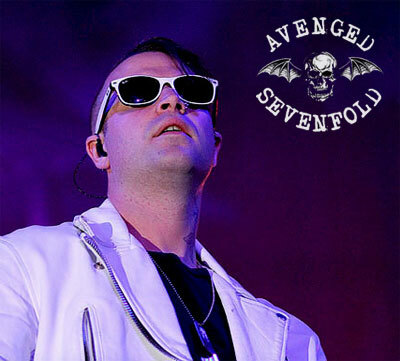 Avenged Sevenfold will continue to tour in support of their latest album “Nightmare” as they head to Europe in June and return to the United States in July.